Hazel Gaynor is the author of the new novel The Lighthouse Keeper's Daughter. 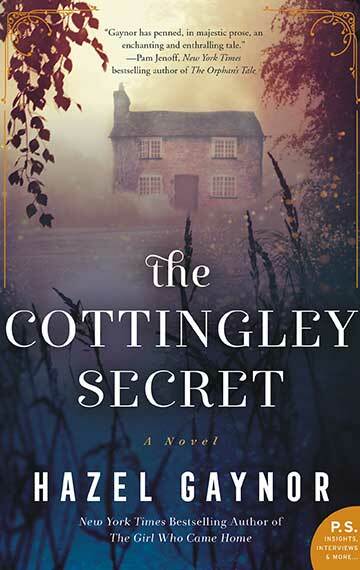 Her other books include The Cottingley Secret and The Girl Who Came Home. She lives in Ireland. Q: The Lighthouse Keeper's Daughter was based at least in part on historical figures. How did you learn about Grace Darling and what made you decide to focus your new novel on her? A: I first learned about Grace Darling and her heroic rescue of survivors of a shipwreck in my early school years. There was something about her Victorian clothing, her isolated existence on a remote island lighthouse, her bravery - and her name - that really captured my imagination. As a novelist, I wanted to know more about her. Who was the real person behind the chocolate-box heroine she became? I wanted to understand the complex young woman who struggled beneath the glare of her unwanted fame. I felt there must be more to her story, and I was right! While visiting my family in Northumberland in 2015, I stumbled across a book about Grace, written in the late 1800s. From then, I knew my next novel would be about her. Q: In our interview about your novel The Cottingley Secret, you said, "While I’ll always stay true to the known historical facts, I will add fictional characters to that historical landscape." Did you approach this novel the same way? In part, yes. Grace’s story, and that of her family, are very well documented by accounts of the events at the time, and by historians and those interested in her. But some tantalising unexplored details remain, particularly with regard to the artists who visited the Longstone lighthouse to paint Grace’s portrait. Several were stranded by storms and from this I developed the idea of the claustrophobic lighthouse atmosphere being the perfect setting for a relationship to blossom between Grace and one of the artists. It is believed that Grace did fall in love with a local man, although his identity remains a mystery. It was that which led to my fictional characters, George Emmerson and his sister, Sarah Dawson, although this name appears among a list of survivors of the shipwreck. Q: What does the novel say about the role of women lighthouse-keepers in the 19th and early-to-mid 20th centuries? 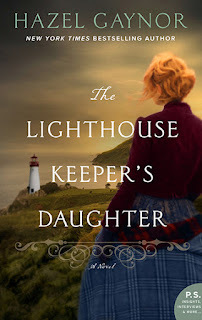 A: At its core, The Lighthouse Keeper’s Daughter is a novel about women ahead of their time, defying convention and pushing the boundaries of society’s limitations. It is also about the female struggle to balance family and ambition. Through my characters of Harriet and Matilda I hope to have captured something of the spirit of these tough, independent women who often lived alone in remote locations and kept the lights turning in all weather. I had no idea so many women held the position of light keeper in American lighthouses from the late 1700s. It is a fascinating, and relatively unknown, part of history, and I was keen to incorporate it into the novel. Q: How did you research this novel, and did you learn anything that surprised you? A: My research always surprises me. History always surprises me, which is why I love writing historical novels! My family live in Northumberland, not far from the area Grace was from, so we took several trips to the locations that were significant to her. 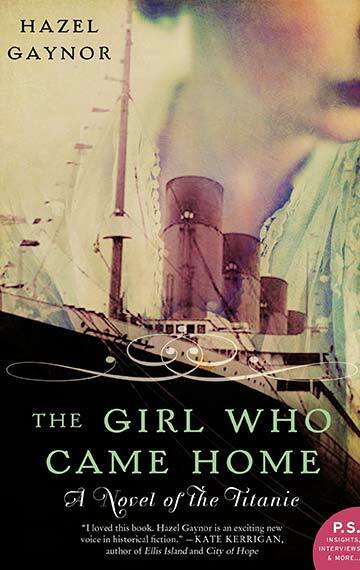 It was especially poignant to visit her lighthouse home and step into the small bedroom from which she first saw the foundering ship, setting in motion a chain of events that would change her life. I also read many many books about Grace and her life – Jessica Mitford even wrote about her – and about the workings of lighthouses, and light keepers, and the ocean. My research also led me to the fascinating story of Ida Lewis who I was surprised to learn was known as America’s Grace Darling. Ida became the inspiration for Harriet, and the connection between Grace and Matilda, and between Longstone and Newport, Rhode Island. 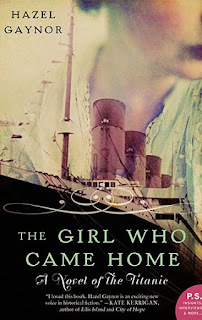 A: I’m currently having enormous fun writing my second collaborative historical novel with Heather Webb. Meet Me In Monaco is set around the iconic wedding of Grace Kelly to Prince Rainier of Monaco and we can’t wait for it to be published in summer 2019. I’m also working on my next solo novel which will take me into a new historical setting. I’m very excited about it and hope to be able to share more news soon! A: In writing The Lighthouse Keeper’s Daughter I stayed in a lighthouse in Ireland for a weekend. Lots of lighthouses now offer short stays and I can highly recommend it. There’s something quite magical about them! Although I did later discover the 109 steps are haunted by a headless woman. I’m not sure I would have slept so soundly if I’d known this beforehand! --Interview with Deborah Kalb. 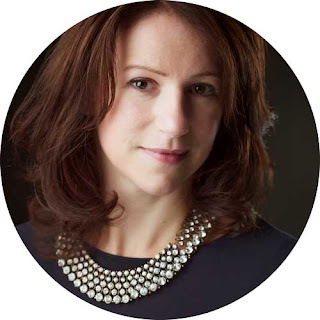 Here's a previous Q&A with Hazel Gaynor.